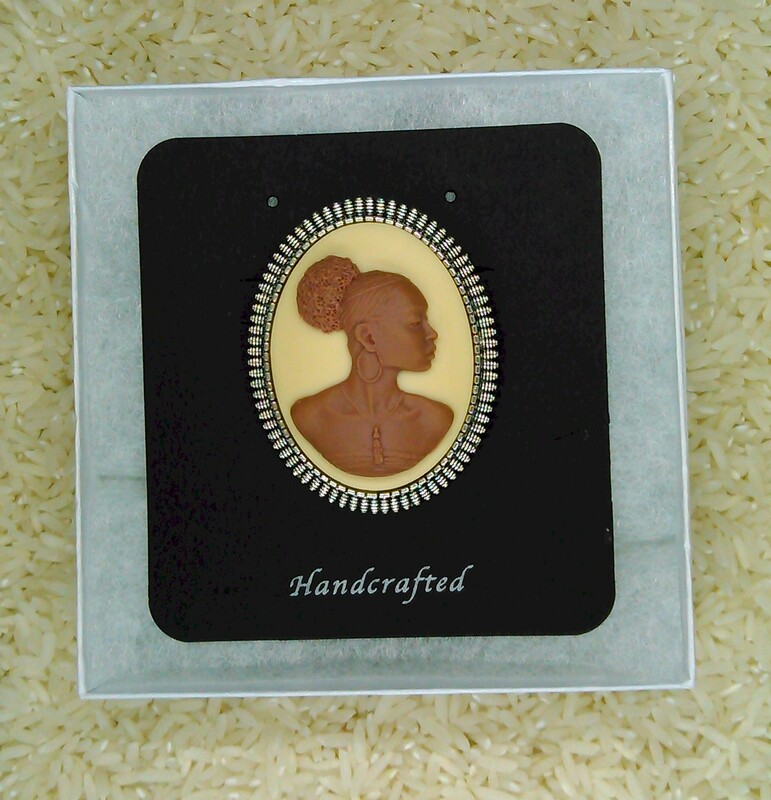 Our custom resin cameo portraying a beautiful modern black woman. It is set in an antiqued silver tone setting. 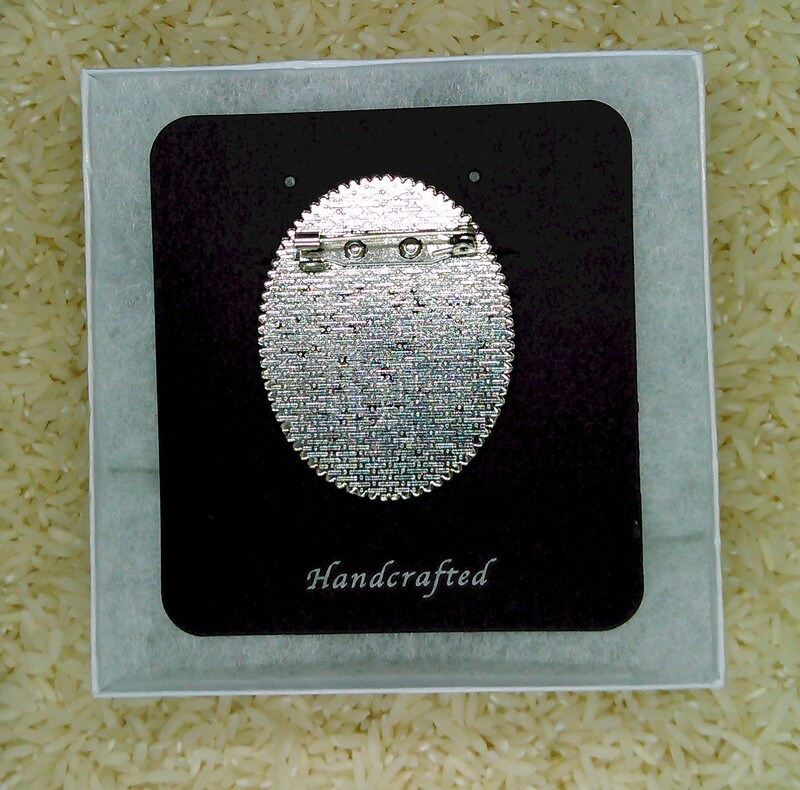 Overall size of the pin is approximately 2 x 1.5 inches. There is an easy lock pin soldered to the back. 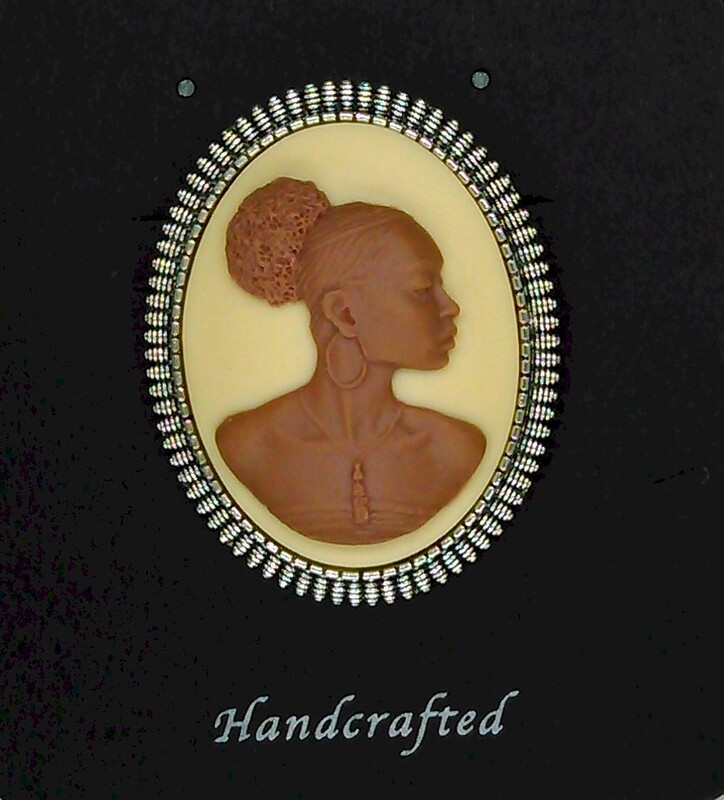 This comes in a white gift box mounted on a handcrafted card. Makes a great gift. We can send it directly to who every you want. If you want to include your own personal note please add that the instructions on the order or e-mail it to us. We will include that in the box and leave the invoice out.